The 601 Serie is handmade in Esteli, Nicaragua, exclusively for United Tobacco by Pepin Garcia. 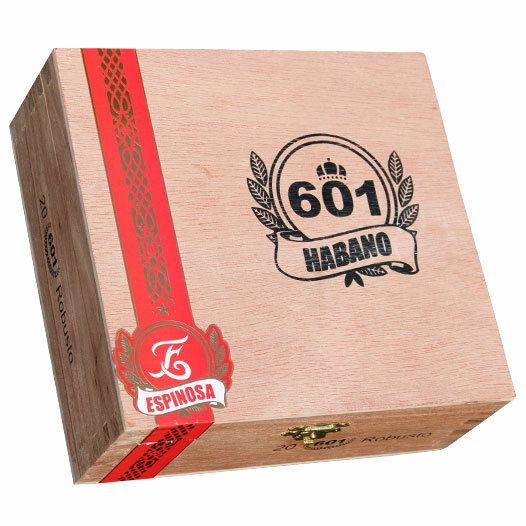 The red banded 601 is an exquisite blend of aged Nicaraguan tobaccos topped off with a beautifully rich and oily Nicaraguan Habano natural wrapper. Blended and manufactured to provide superb aroma and flavor, it maintains its full bodied flavor profile to the very end. The Red 601 is definitely not for the faint hearted and is recommended for experienced smokers only. Full bodied, it has been highly rated by Cigar Aficionado, Cigar Insider, Cigar Press and Florida Cigar Snob publications.